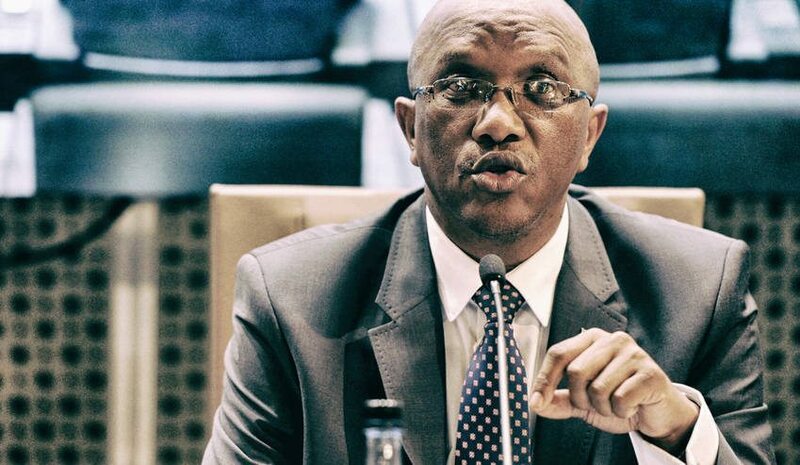 There have been several attacks in 2018 on staff of the Auditor-General as they probe the financial affairs of South Africa’s municipalities. In October, one auditor was shot and her laptop stolen from a guest house in Emfuleni, where she was scrutinising municipal accounts. While this is a deplorable situation, these attacks also show that audits have come to be seen as a threat by those who misuse public funds. In fact, municipal audits are now among the most important sources of information about corruption and mismanagement and crucial for any efforts to hold responsible officials to account. It has not always been this way. Since South Africa’s municipal structures were reformed in the early 2000s, the Auditor-General has consistently worked to increase the salience of municipal audits. The fundamental mandate for this work is contained in chapter nine of the 1996 Constitution, which is dedicated to “state institutions supporting constitutional democracy”. The Auditor-General has a duty to audit and report on the accounts, financial statements, and financial management of national, provincial and municipal governments (section 188). The audit process is subject to a statutory timetable set out in the Municipal Finance Management Act of 2003. Within two months of the end of the financial year on 30 June, the accounting officer of a municipality has to submit financial statements to the Auditor-General, who in turn has three months to complete an audit and to submit the results to the municipality. No later than seven months after the end of a financial year, the mayor of a municipality must table an annual report including the outcome of the audit in the municipal council. In practice, not all municipalities observe these deadlines and historically audits have received less attention. In 2009, the Auditor-General started to release an annual report on the audit results of municipalities. This includes the overall audit opinion for each local authority, with a range of detailed information such as amounts of expenditure identified as “unauthorised”, “irregular” and “fruitless and wasteful”, as well as an analysis of major trends and issues. These “Municipal Finance Management Act Reports” now attract substantial media coverage and have contributed significantly to the increased profile of municipal audits. Year after year, the Auditor-General has documented persistent problems with governance and service delivery in South African municipalities. There has not been a shortage of initiatives to tackle these. Some may recall “Operation Clean Audit 2014”, launched in 2009 by the newly elected government of President Jacob Zuma. It promised to deliver “clean audits” for all provincial and local governments within five years. The target was missed by a wide margin and performance has continued to fall short. In May 2018, the Auditor-General reported that in 2016-17 a mere 13% of municipalities achieved clean audits, certifying flawless financial and other reporting and full compliance with legislation. This was a sharp drop from the already-low 20% in the previous year, with declining performance across many areas including supply chain management. Among the root causes the report identified were the lack of consequences for poor performance and irregularities. The Public Audit Amendment Bill, once signed into law, will strengthen the powers of the Auditor-General to recover funds and to ensure irregularities are pursued. Recent survey results shed new light on public awareness and perceptions of the country’s audit watchdog. In 2018, the South African Citizens Survey, a ground-breaking tracking study of public opinion, fielded a series of questions about the Auditor-General. Focusing on the relevance of audit reporting on local governments, the survey asked a representative sample of South Africans about audits and the Auditor-General. According to the weighted responses collected between March and April a sizeable number of respondents, 24%, claim to have heard, seen or read about the audit results of the municipal audit carried out for their local municipality, while 25% claimed to have heard, seen or read about reports of unauthorised, irregular, or fruitless and wasteful spending by their municipality (with 35% having heard of either). While these numbers show the potential for further broadening the reach of audit information, these are surprisingly high levels of awareness given that audit results are inherently difficult to communicate. Moreover, excluding respondents who said they did not know, 56% had “a lot of” or “some” trust in the Auditor-General, against only 42% who trusted their mayor and 41% who trusted their local council. Most striking, perhaps, is what the South African Citizens Survey reveals about the potential electoral impact of audit information: A massive 59% of respondents claimed that information about corruption and financial mismanagement in their municipality was “very” important in deciding which political party they will vote for in a municipal election or by-elections, and a further 25% said it was “somewhat” important. Only 11% and 5% said it was “not too” or “not at all” important, respectively. Against a backdrop of widespread impatience with poor service delivery among South Africans, these figures reveal a remarkable willingness to punish mismanagement and corruption at the ballot box. Impact studies of audits in other countries show their potential for holding governments to account. In Brazil, one widely cited study found that incumbent mayors were more likely to be re-elected if audits had demonstrated the absence of corruption, but were less likely to be re-elected where audits had documented corrupt practices. Another study, of audits in Indonesian villages, found that stolen funds decreased by eight percentage points when contractors knew for certain that they would be audited, compared to when this was highly unlikely. Municipal audits can have similar effects in South Africa. For almost a decade, the Zuma presidency attempted to subvert or disable checks and balances, damaging important institutions such as the National Treasury and the Public Protector. Against the odds, the Auditor-General has emerged from these dark years as one of the country’s most important weapons in the fight against corruption and for better public services for those who need them most. But the political climate has prevented the full benefits of audits to materialise. If the government is serious about tackling corruption, it must support the use of the enforcement powers of the Auditor-General that the audit bill envisages, by ensuring that those indicated as responsible for irregularities are brought to justice. It must also take urgent steps to protect auditors from harm and intimidation. © Copyright 2018 Citizen Surveys (Pty) Ltd. All Rights Reserved.